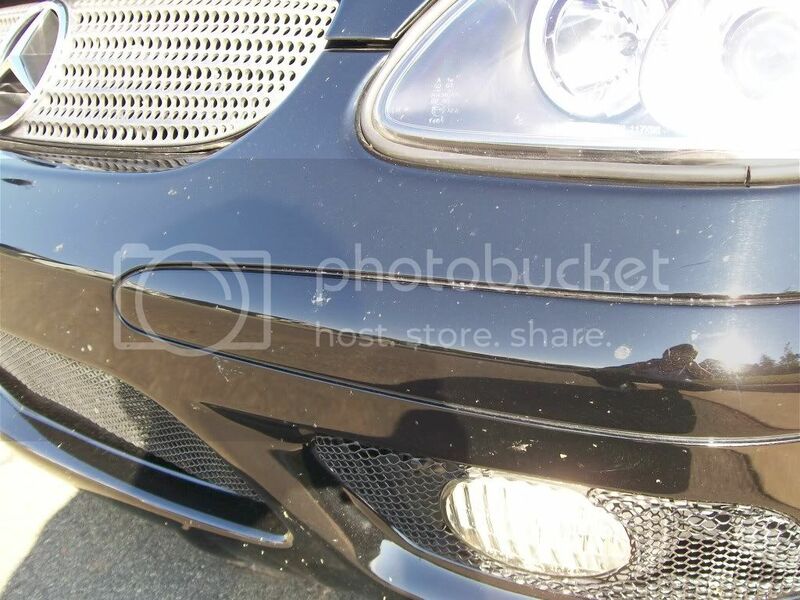 This Porsche Boxter received the Premium Detail to bring it back to its "former glory". 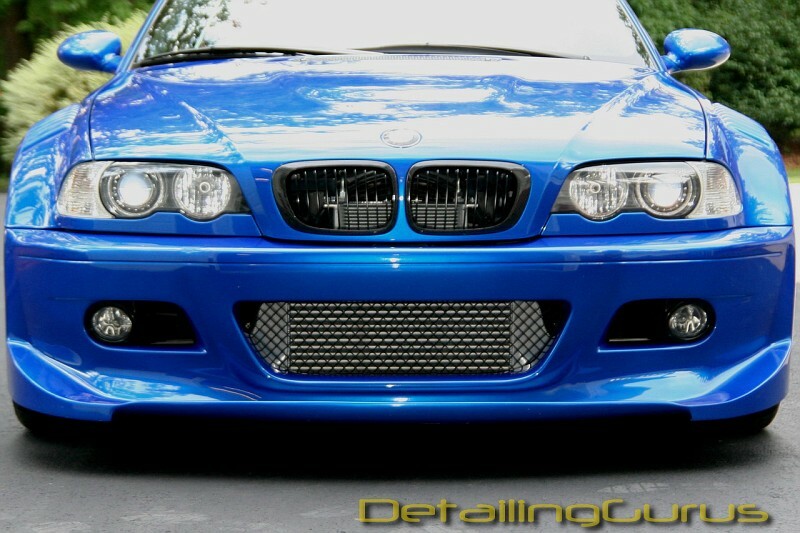 The process started with a deep under carriage and wheel cleaning with a safe citrus degreaser solution cut 1:4. Wheels and brakes were agitated with various brushes. 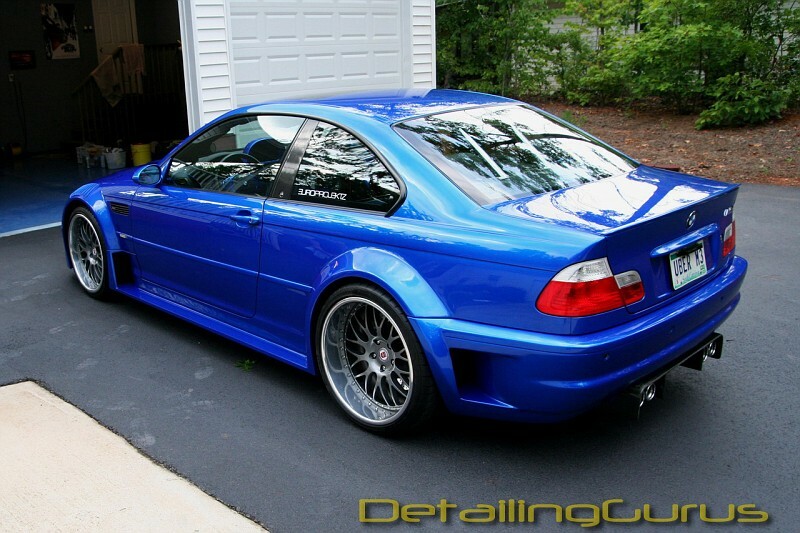 The entire car was washed then with Meguiar's Gold Class soap. There were some heavy bonded contaminants so we opted for gray agressive clay to get the paint work perfectly clean prior to polishing. 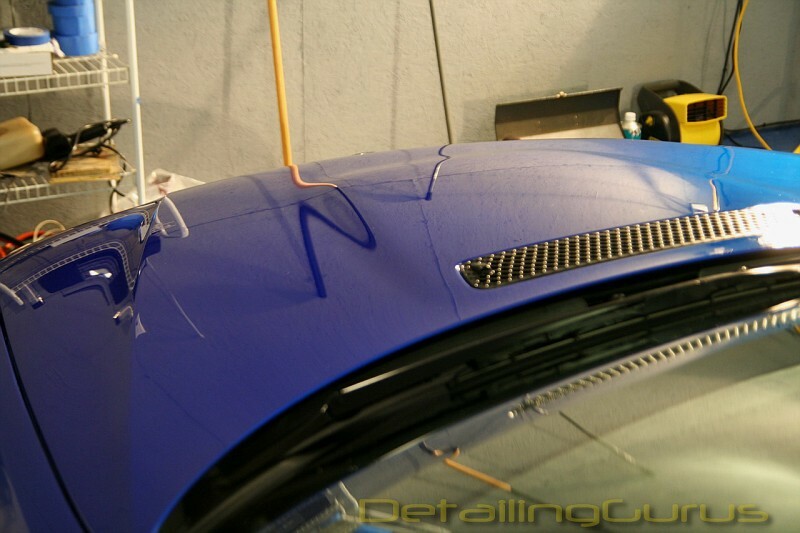 After cleaning, the car is dried with a microfiber waffle weave cloth. 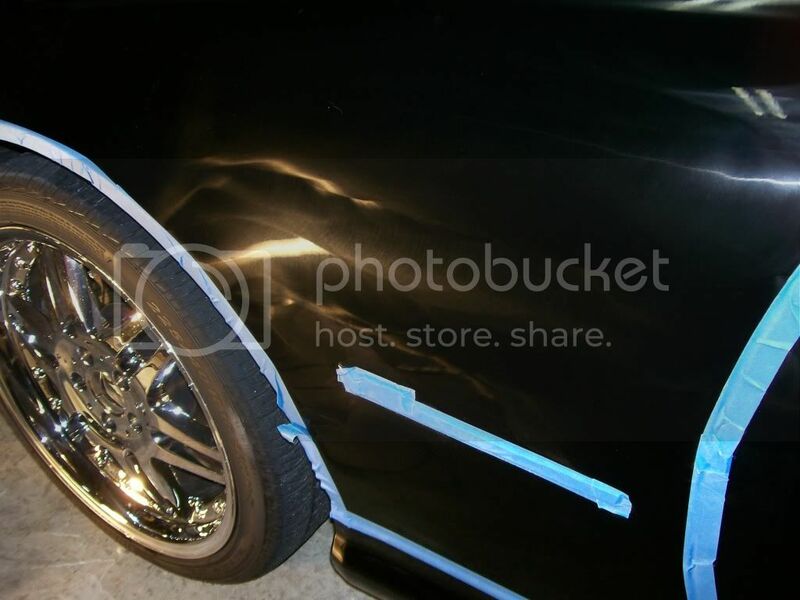 Taping trim and edges is an extra step to prevent damage to vulnerable areas. Correction was performed with Menzerna SIP on a Lake Country purple foamed wool pad at about 1,600 rpms. Two passes were required in some areas with deeper defects. 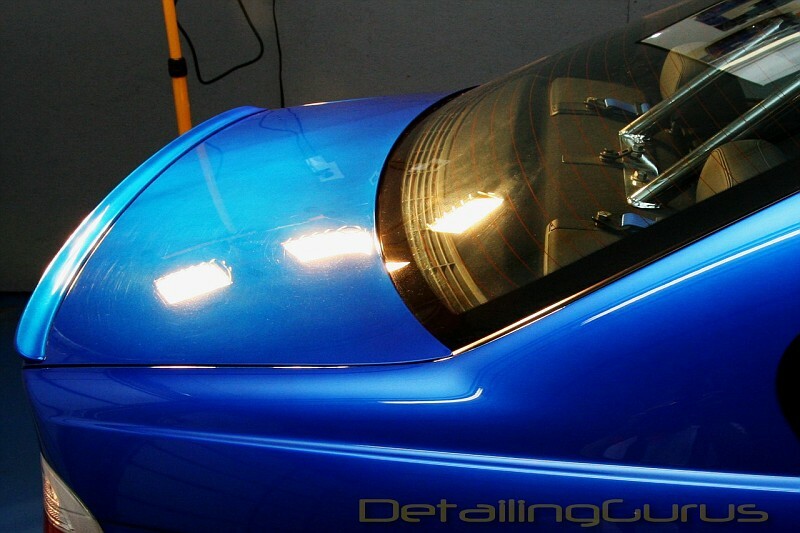 We finished down with a fine polish (Menzerna 106ff) to bring out a perfect finish. 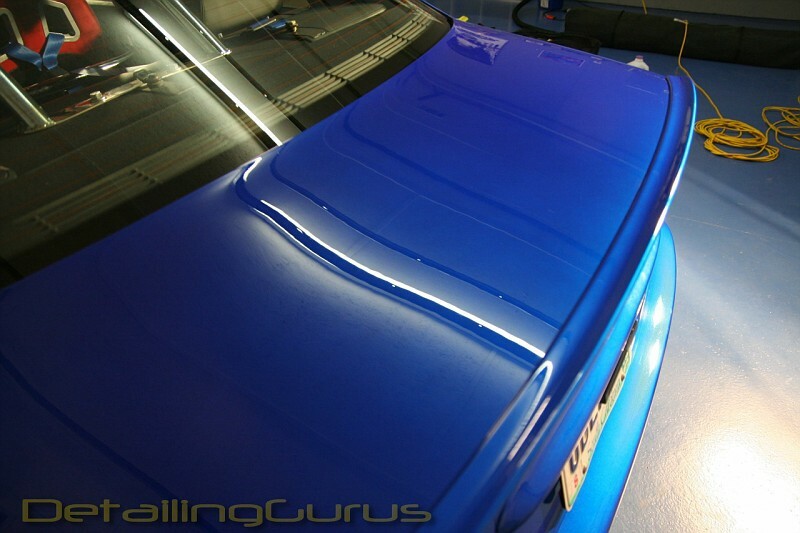 We applied a coat of Duragloss TPP 105 to lock in the shine followed by a coat of the all new Guruwax to give it depth and that Concourse level finish. We are thrilled to announce the launch of GuruWax! 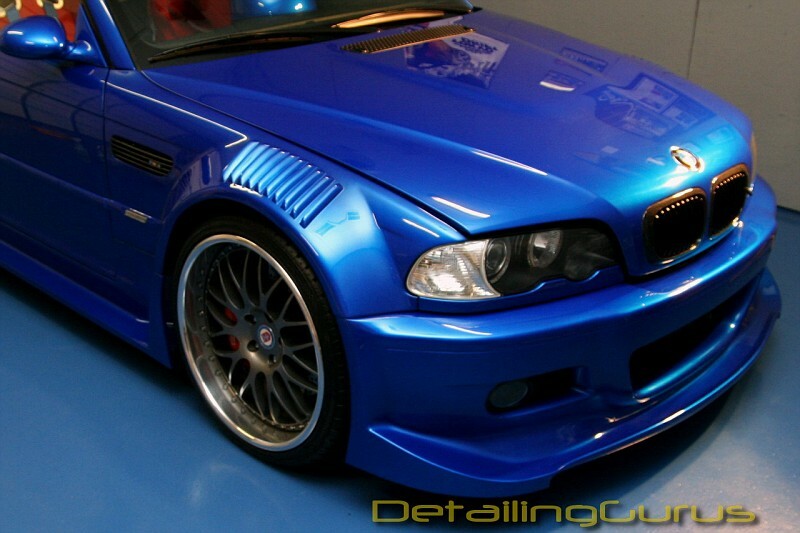 The most discriminating car owners look for the unmatched look of Brazilian white carnauba wax. 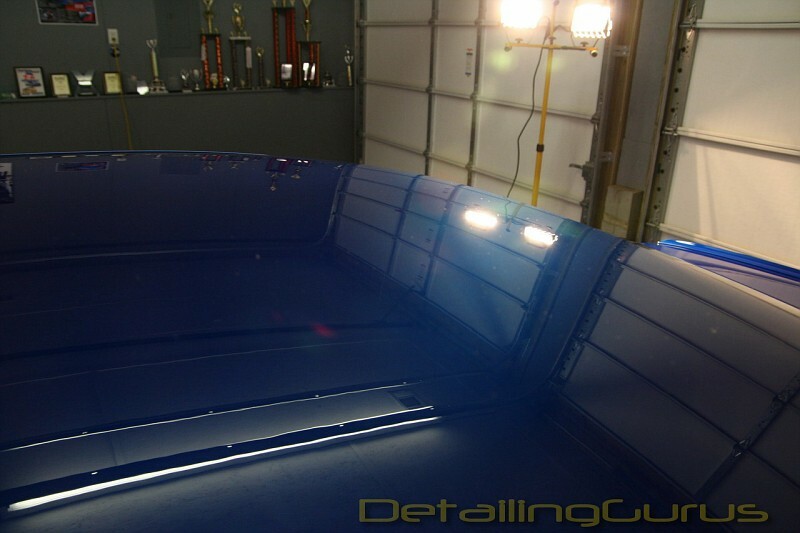 While others have matched the durability, nothing can come close to the warm, reflective glow of a high carnauba content wax. Most over the counter waxes offer little to no actual Brazilian No.1 White Carnauba wax content because of the sheer price of this raw material. Synthetic materials often replace this highly desirable ingredient compromising quality for cost. GuruWax is a unique blend of natural coconut, almond, propolis and banana oils with 53% by volume of Brazilian No. 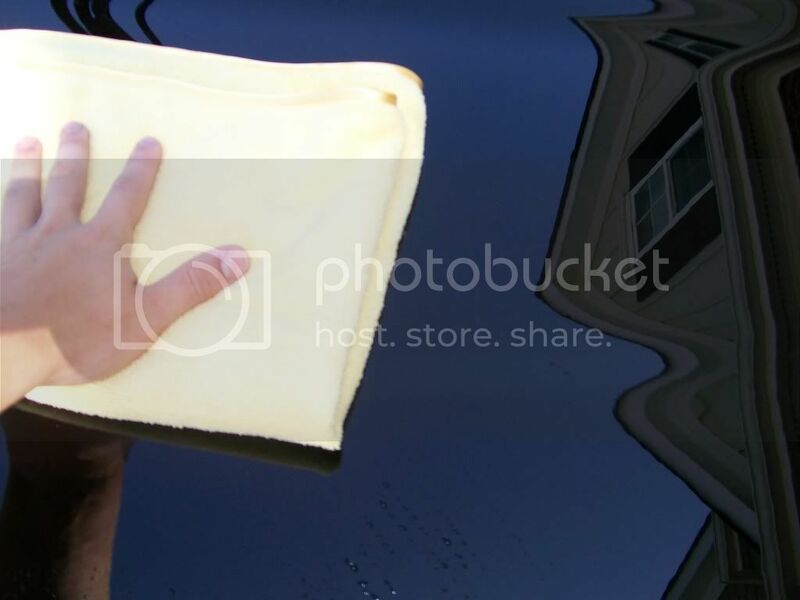 1 White Carnauba wax, the purest, hardest and most transparent natural wax in the world. The natural coconut, almond, propolis and banana oils found in this fine wax produce a fresh aromatic fragrance that you can enjoy while you protect your car from outside contaminants and paint corrosion. 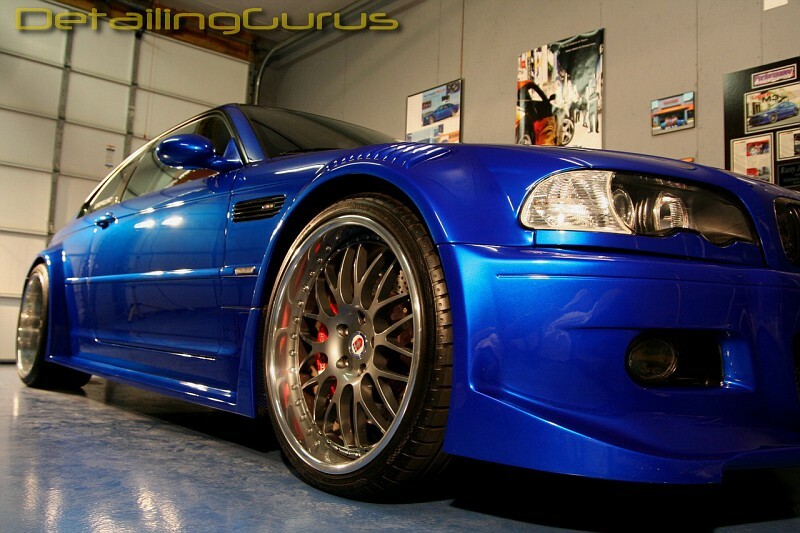 GuruWax has been created exclusively for the die-hard fan of the highest levels of supreme gloss, shine and shimmer. This product is sure to turn the heads of even the toughest critic. 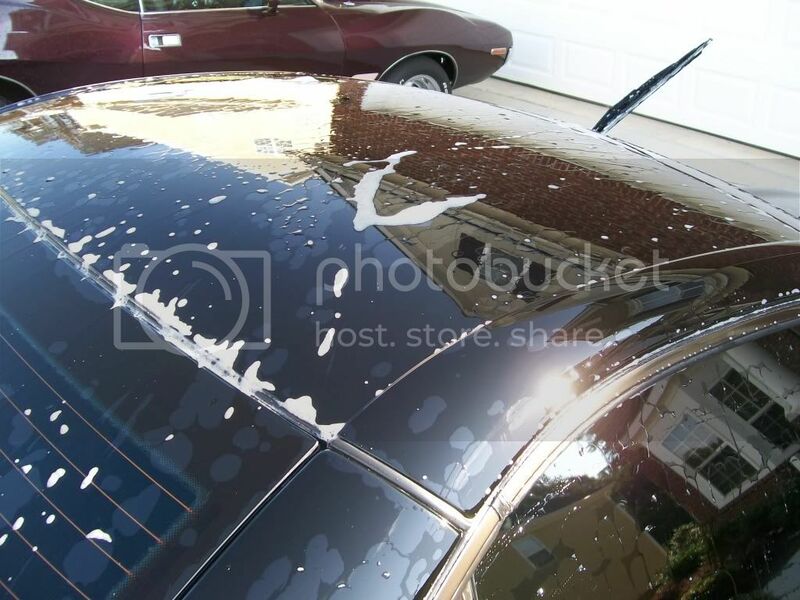 The natural oils used in this product makes paint “drip off of your vehicle” and is formulated with a liquid crystal polymer for extended longevity and durability. 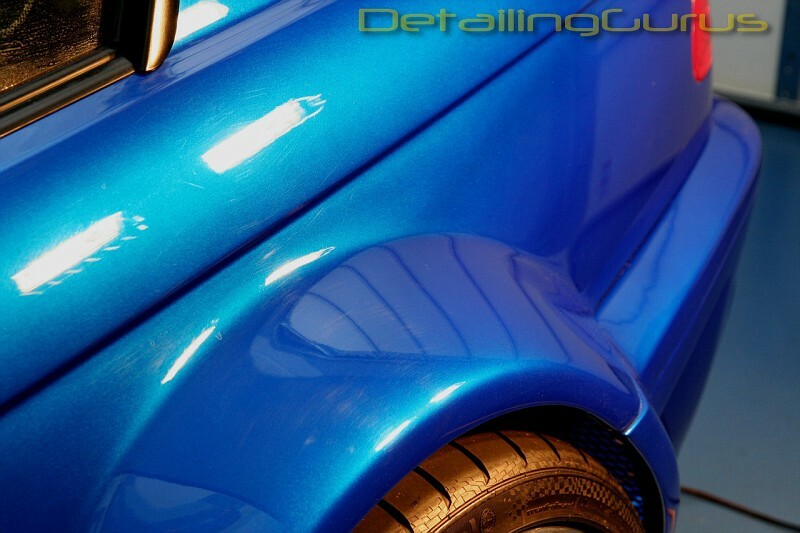 GuruWax is a brilliant paste that offers a deep warm shine that is proven to be excellent for any color of paint. 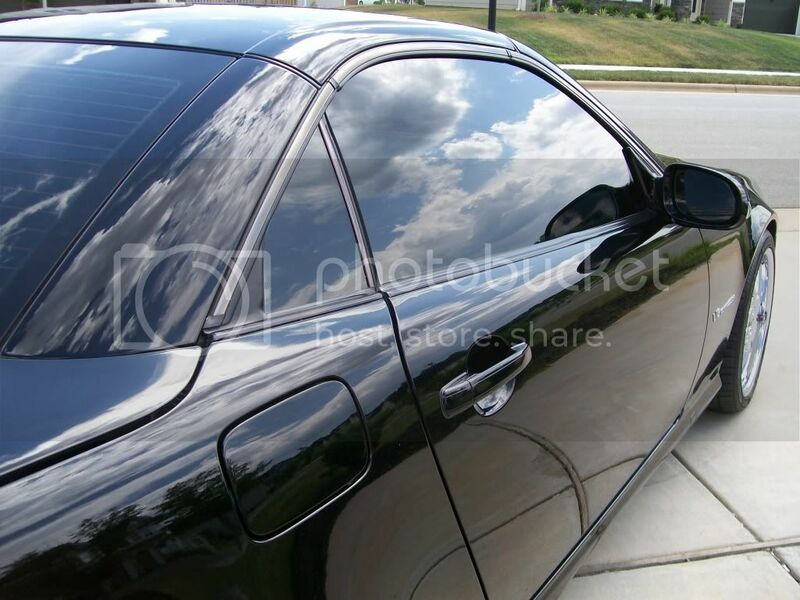 The unique blend of oils and liquid crystal polymers is specially formulated to bring out dark and metallic colors. 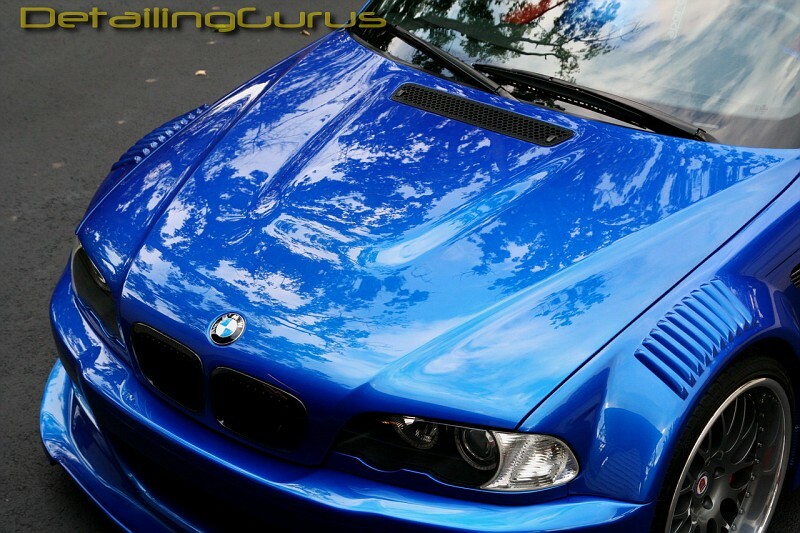 If you are looking for the very best level of protection and appearance for your car, GuruWax will offer you the best ingredients money can buy. 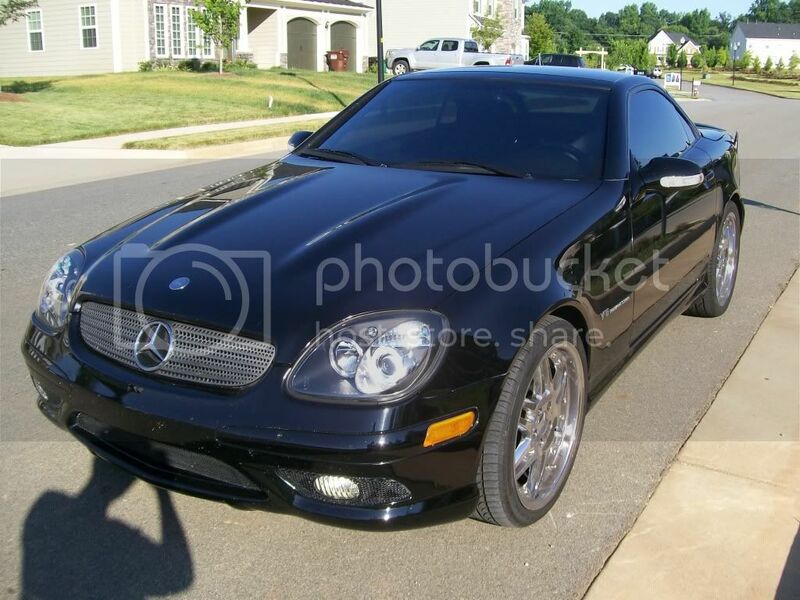 Don't settle for less when it comes to the investment of your high-end vehicle! 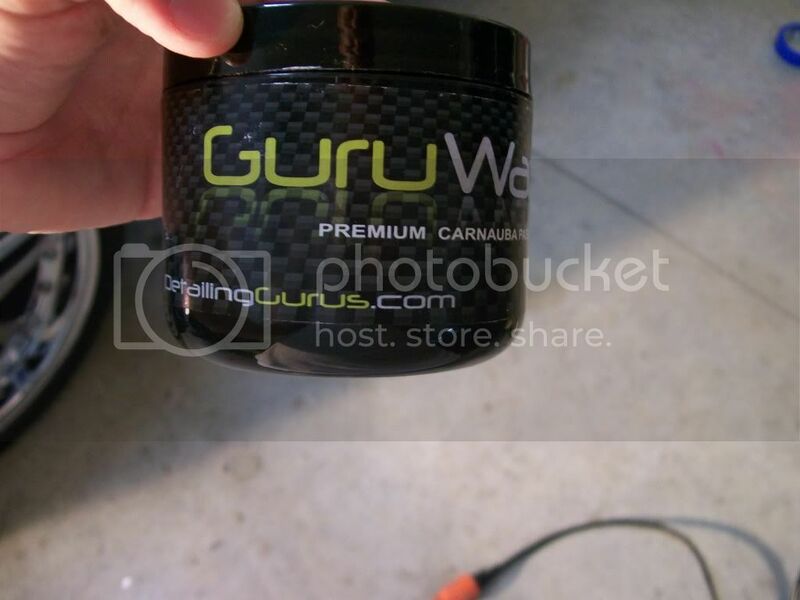 Order a tub today and enjoy the benefits of the knowledge of the Detailing Gurus! 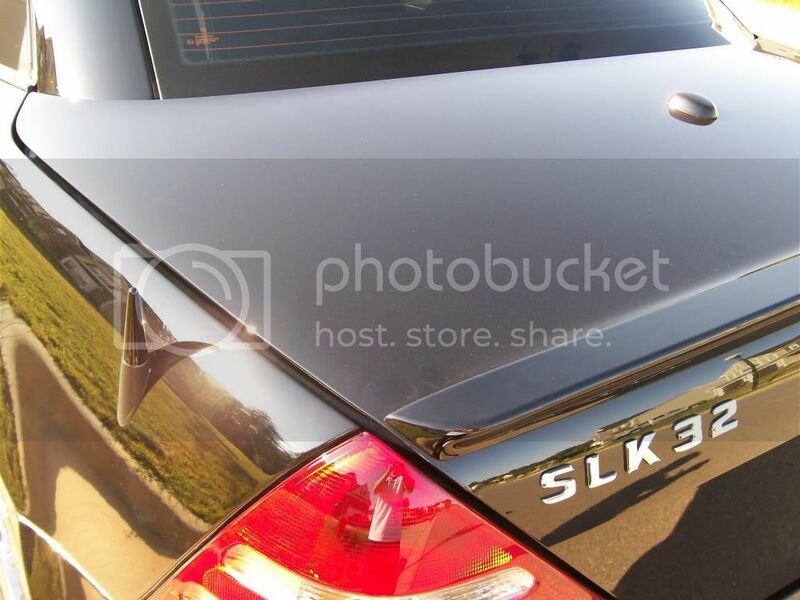 SYSTEM ONE X3 Polish on 155°F black paint in direct sun! 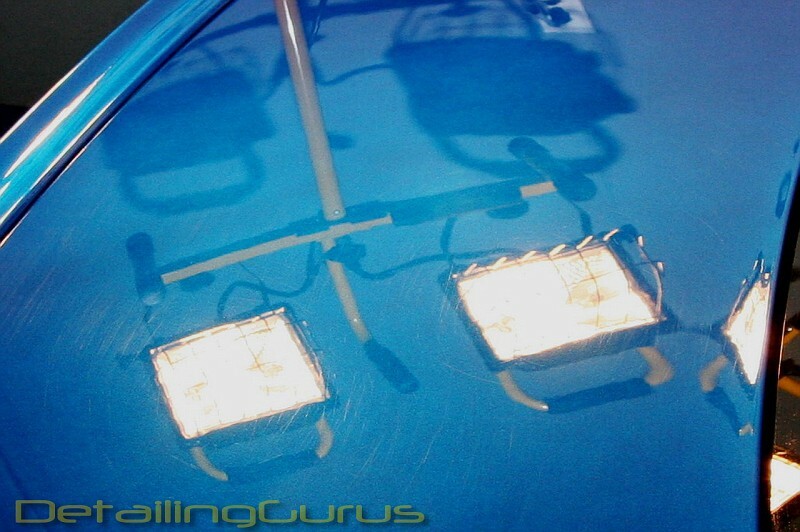 This is the biggest news to hit the Automotive Detailing industry yet! 3M will be a power house by combining what has been by far the two largest players in this industry. While this is good for corporate profits, this could be very bad for the consumer. Support your local car care supply manufacturers! Business Wire Link - 3M to Acquire Meguiar's Inc. 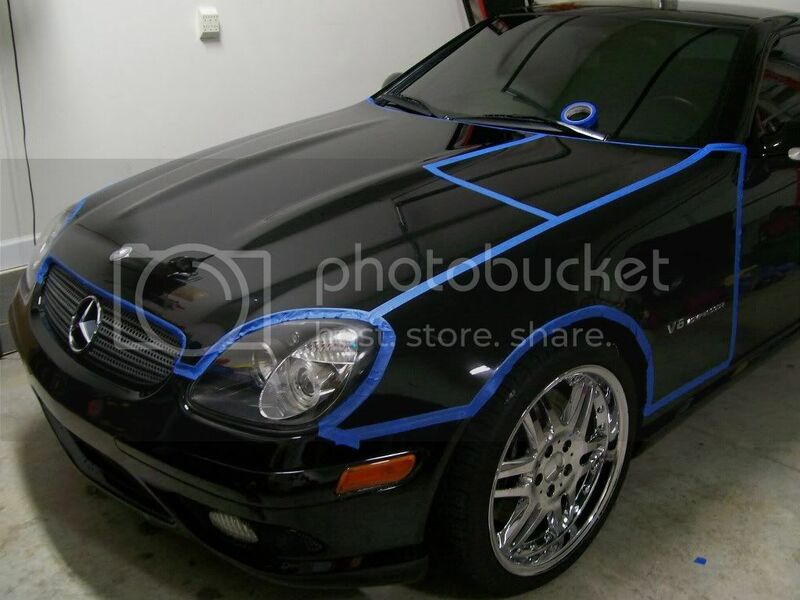 Here's a brief write-up on a local detailer's work on a SLK 32 AMG. Look at the GuruWax glow! Take a look at this picture closely. 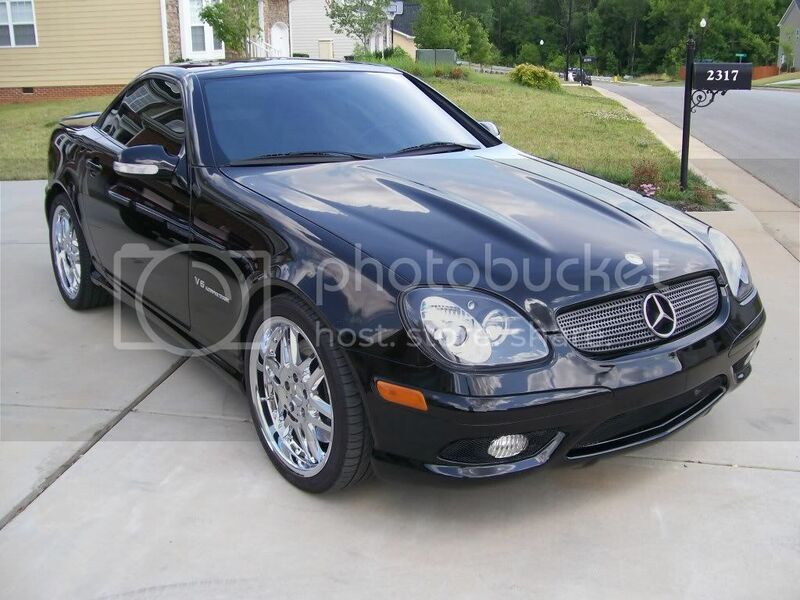 This car was waxed with GuruWax almost a year ago. Notice how the water and dirt sheet off with ease. This is a key performance characteristic of GuruWax. 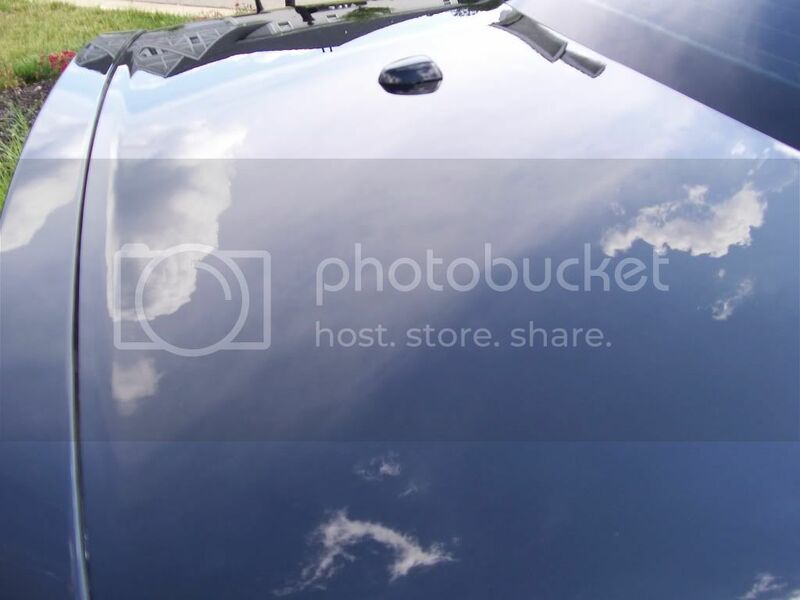 It will make keeping your car clean and swirl free much easier! 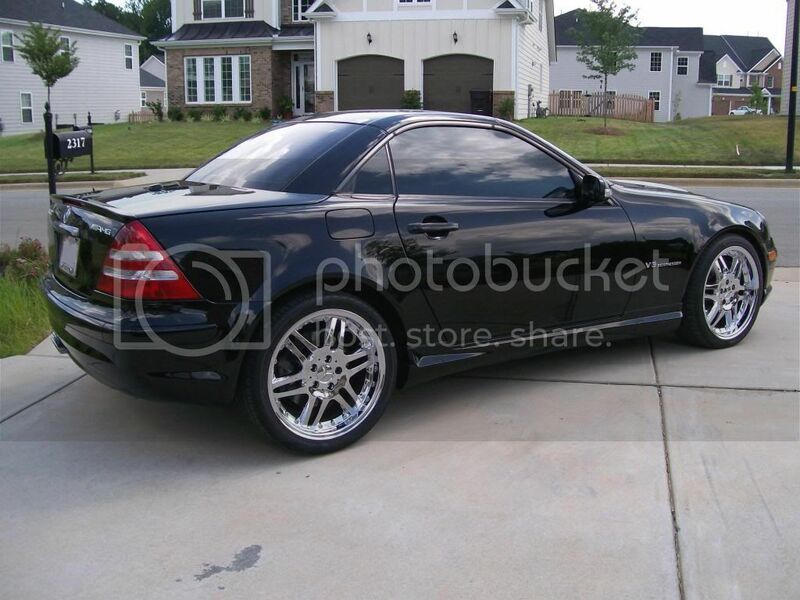 No more scrubbing the get it clean! Tapped up ready for correction. 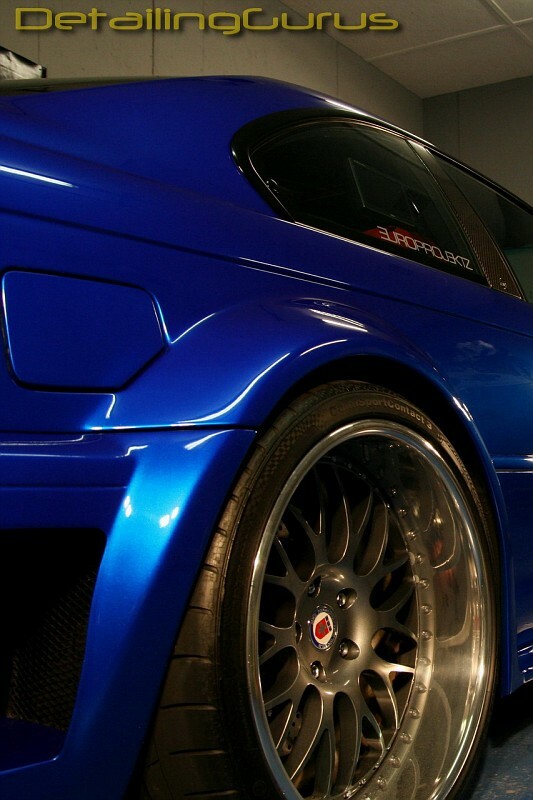 You might recall that DetailingGurus detailed the Uber M3 in March The owner gave us a call, asking us to help prepare the car for a serious go at possibly winning the Hot Import Nights show the following weekend in Concord, NC. 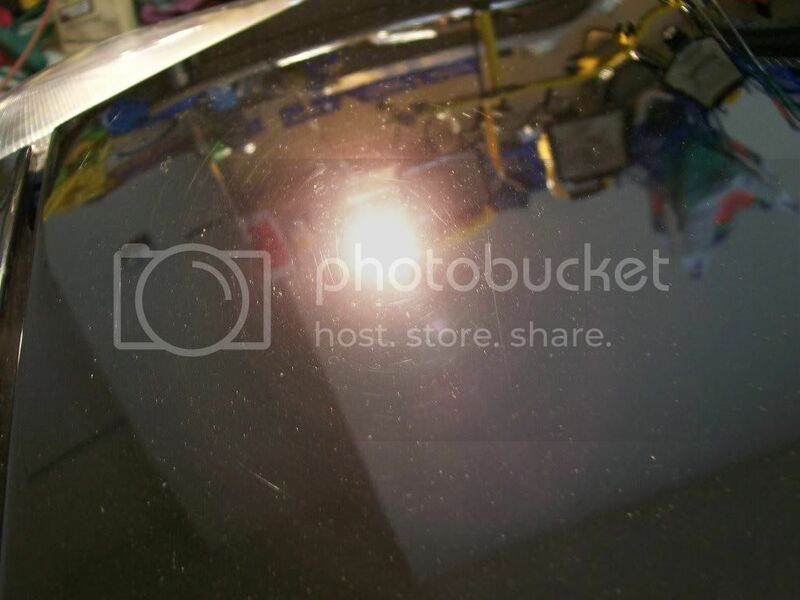 The car was in decent shape, with no oxidation whatsoever, very few water spots, but quite a few swirls. 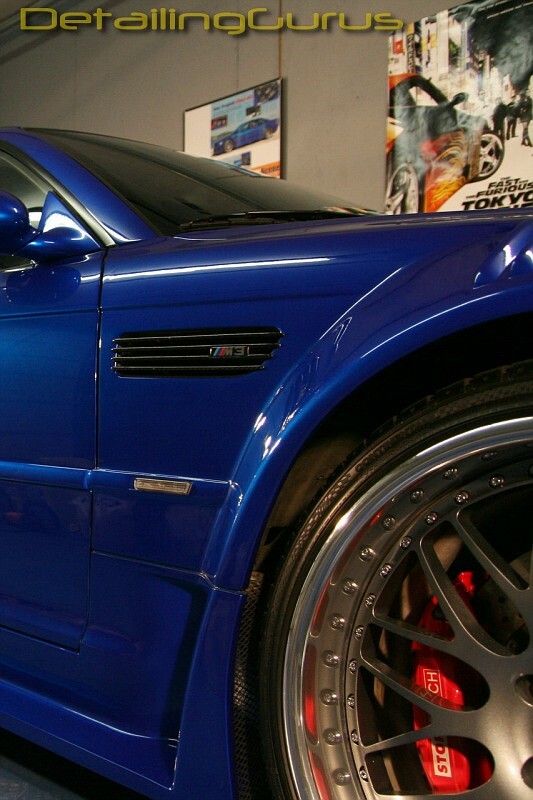 A show car that receives a lot of preening and pruning is inevitably going to see some light surface scratches reappear, but a strict regimen of wipe-downs with quick detail spray and microfiber towels will go a long way towards ensuring the owner has more success in maintaining a swirl-free finish in the future. 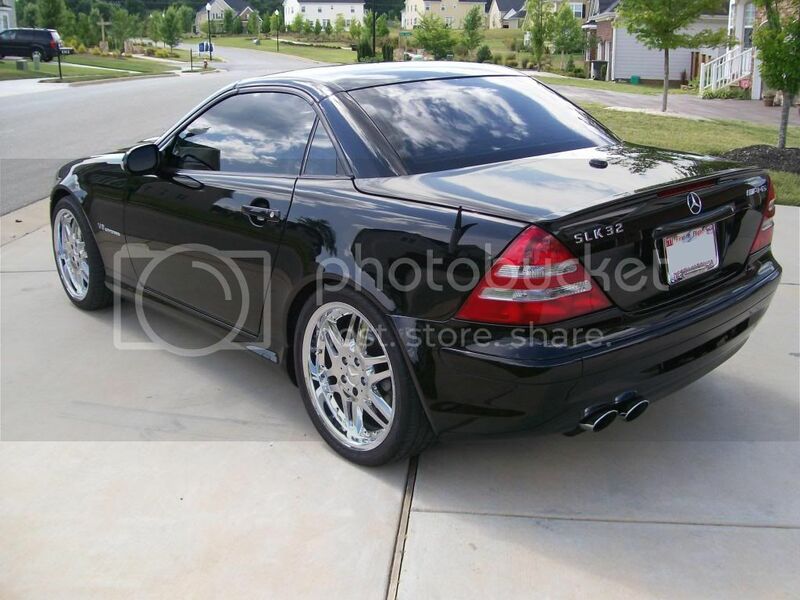 In spite of the fact that this car is not a trailer queen, it remains very clean. After an ONR wash, a little bit of road grime behind the wheel wells was all that the Sonus Medium Grade (Gray) Claybar seemed to pick up. Minor bonded contaminants across the rest of the body surfaces were also removed with clay in preparation for the polishing process, to prevent the introduction of more swirling. 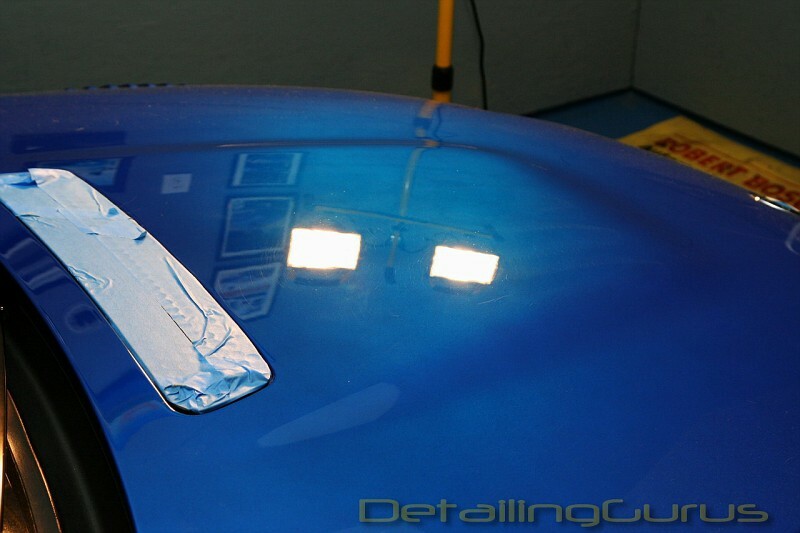 As we found out with our previous experience with the Uber M3, the super-hard PPG clear coat requires a heavy cut, even for minor surface swirls. 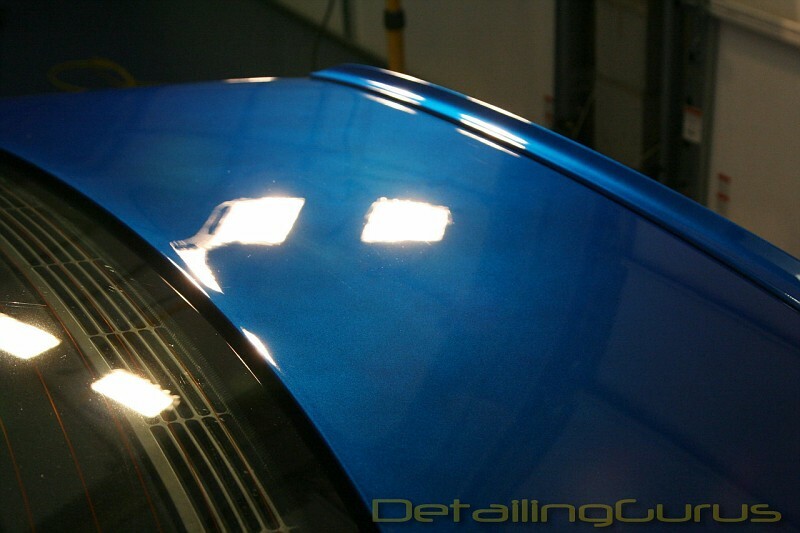 A single pass with the Medium cut Edge 2k yellow twisted wool/acrylic pad with Menzerna Super Intensive Polish quickly leveled the paint to remove the heavier swirls. The micromarring seen is typical of a heavy cut. 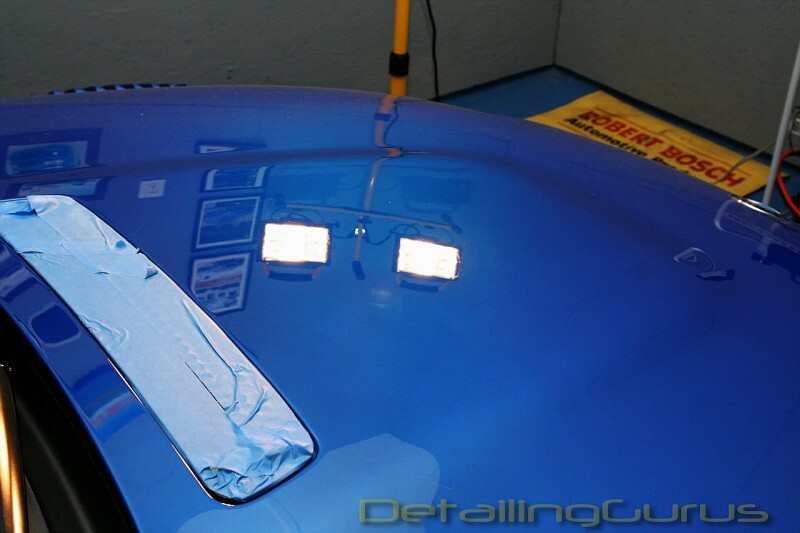 Multiple, slow passes were made with Menzerna 106ff on an Edge 2k white 6" finishing pad to further remove swirls and micromarring, leaving a highly reflective, glossy finish. 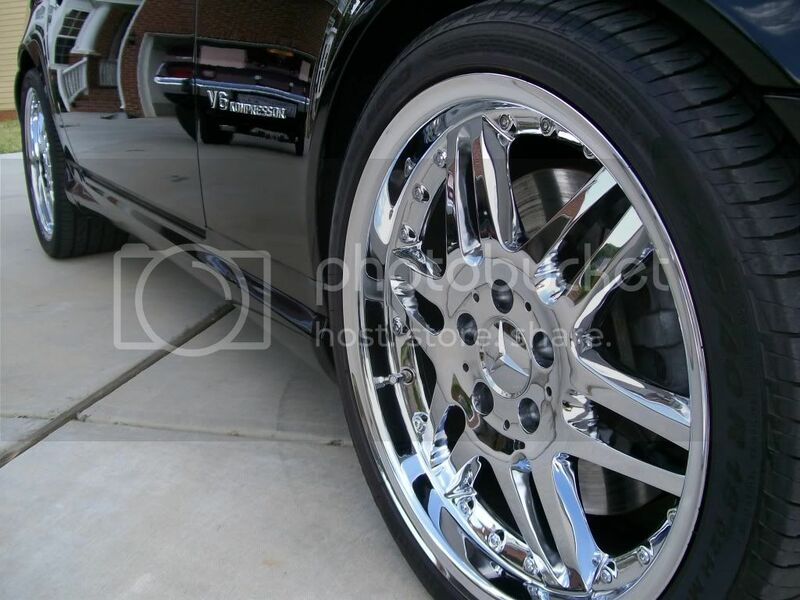 Wheels were polished with the help of a Mother's Powerball and some Optimum Polish. 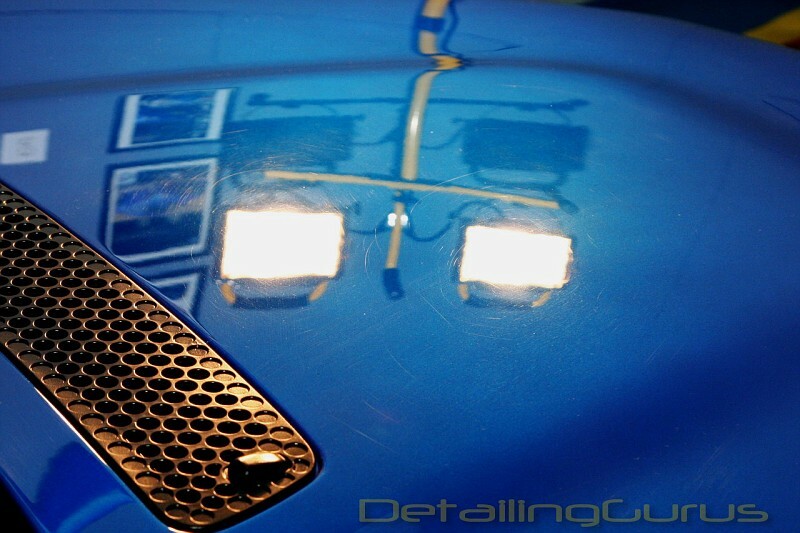 The owner likes to get hands-on with the detailing on his car and was instrumental in the shine seen here! 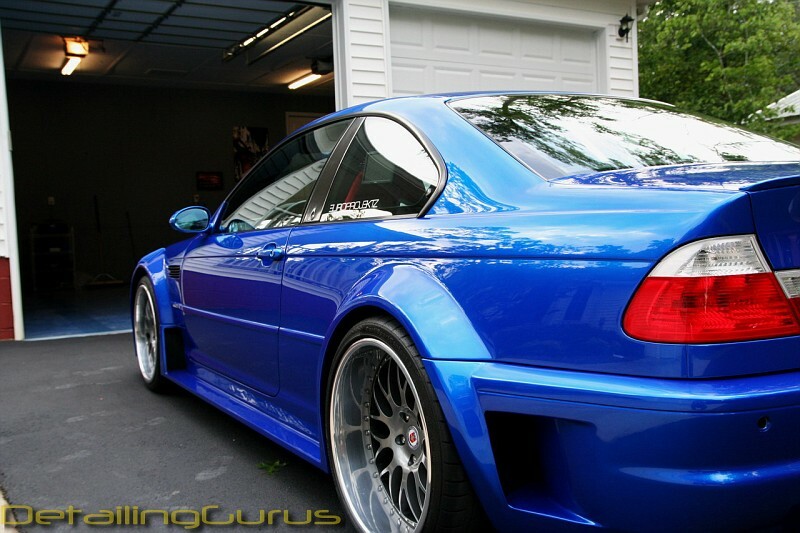 Carnauba wax. Boy were we right! 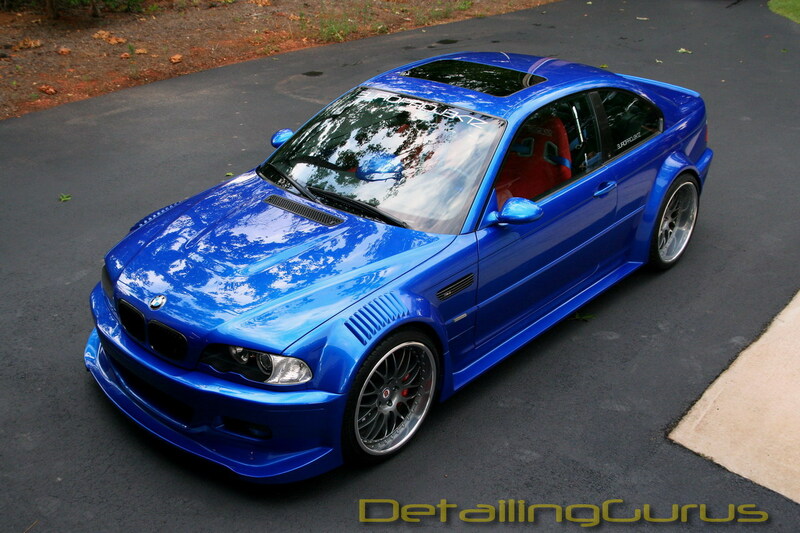 Carnauba wax. 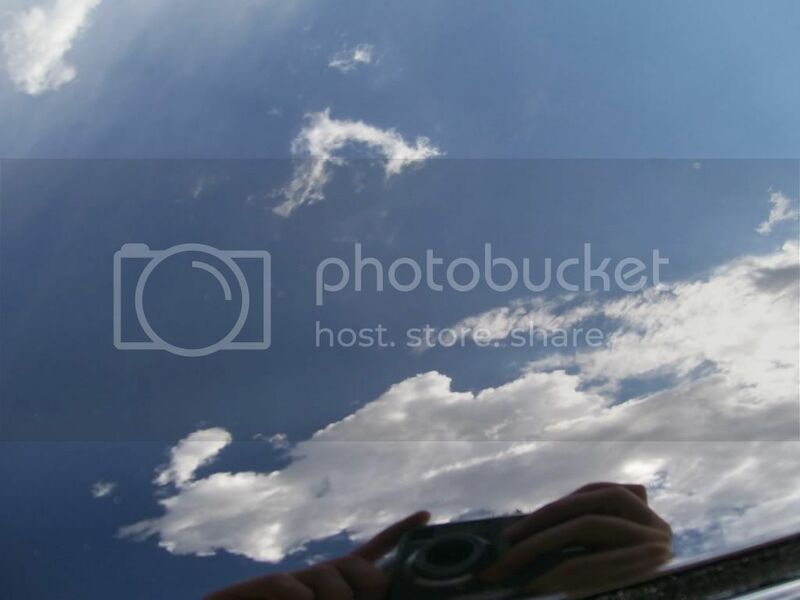 It definitely suited the car more than the glassy, mirror-like reflections seen with a Sealant. Afternoon thunderstorms finally let up and allowed us to step outside to take some pictures with the trees reflecting in this stunning paint (that really needs to be seen in person to be fully appreciated). Thanks for looking! Please Digg this article! 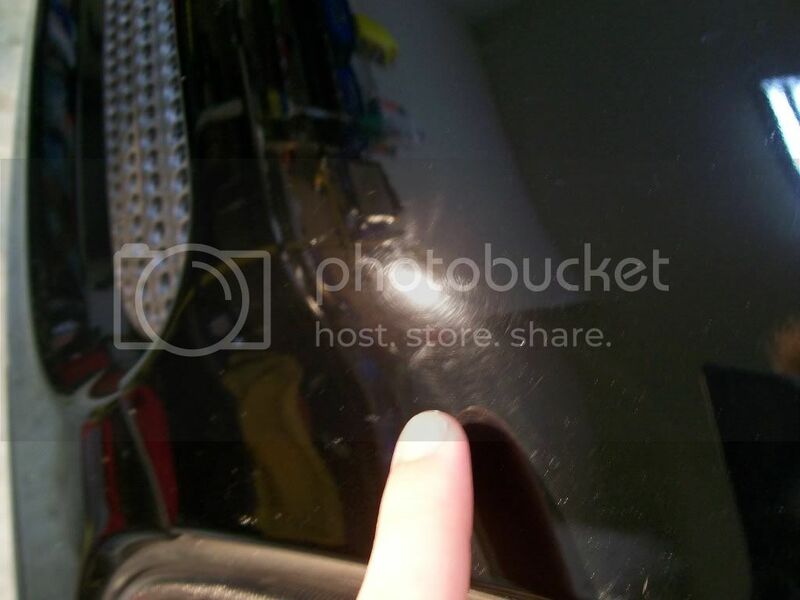 Click on the "Digg It" icon.